Fascinating inkjet technology with long rapports up to 5.6 m and color stability from beginning to end as well as Cross Web. Our palis Décorator series with 4 to 6 colors and a print width of 782 mm up to 2.248 mm is tested for the production of HPL, LPL and CPL with our water-based inks. With digital printing and finishing capabilities, new unique designs can be created that either imitate natural materials deceptively real or even create different material structures for new trends. These can also be produced as small orders cost-effectively thanks to the printing of various orders on a single roll by flying order changes. This also allows the iterative sampling of decors during production. Ideally, this iterative sampling is done by our proofing system, for example by pre-inking to save time on the production machine. 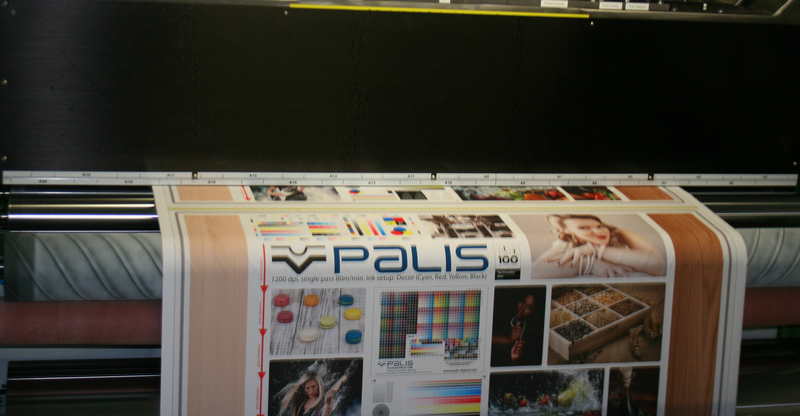 In combination with application development, this creates a flexible and agile digital print production that is designed for your specific needs thanks to the flexible palis machine concept for easy integration of further.